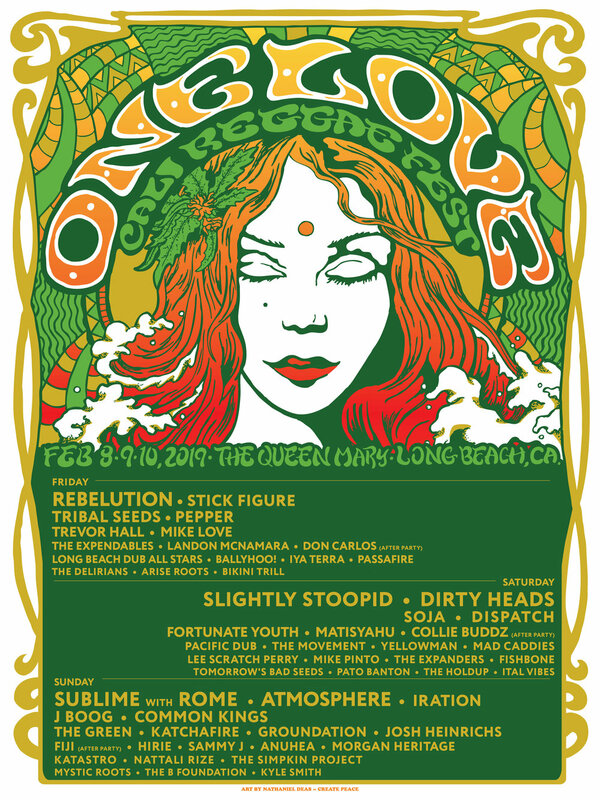 One Love Cali Reggae Fest is a three day festival that will take place at the Queen Mary Events Park in Long Beach, CA. Venue opens at 2:00 pm on Friday 2/8 and 12:00pm on Saturday 2/9 and Sunday 2/10. All ages are welcome. Children 5 & under are free. Show will take place rain or shine. Lineup and set times are subject to change. There is no festival parking on site at the Queen Mary. All festival parking will be off site and serviced by our free shuttle service.